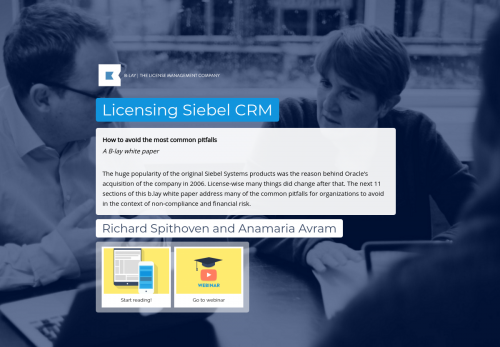 The huge popularity of the original Siebel Systems products was the reason behind Oracle’s acquisition of the company in 2006. License-wise many things did change after that. The next 11 sections of this b.lay white paper address many of the common pitfalls for organizations to avoid in the context of non-compliance and financial risk.